Initially, it hurt. It hurt like crazy. But it didn’t take long for the shock to wear off, and when it did the pain evaporated. Alex Shutter ‘wore on’ and took one for the team. And it never felt so good. On Tuesday night at Myerstown Legion baseball field, Shutter starred in the role of hero when he was hit by a pitch with the bases loaded and the score tied in the bottom of the seventh inning, giving the home team a thrilling 12-11 triumph over Fredericksburg. 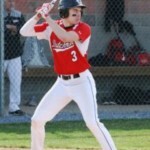 Shutter’s RBI-HBP capped Myerstown’s three-run rally in the bottom of the final inning. It was also Shutter who, an inning earlier, had pulled M-town to within 11-9 of the lead, with a clutch two-out, two-run double. It was Shutter’s second two-bagger of the game and he finished with three RBIs. The victory was Myerstown’s first of the season in the Lebanon County American Legion baseball league. 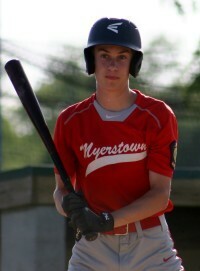 With his constant effort, toughness and all-out hustle, the youthful Shutter continues to epitomize the type of culture the Myerstown legion baseball program is attempting to foster.